Are you looking for the appropriate Alarm Monitoring Houston TX services for your specific needs? If you’re not having a lot of luck monitoring your residential or commercial services and you’re looking for help, you’ve come to the right place. Mega Systems Security is ready to provide you with the right alarm and security system installations for the right prices. When you’ve got our Houston TX alarm installation services on your side, you’ll be safe and sound for years to come. Contact our team today at 713-668-8818 for more information. Megasystems Security is a place you can count on for years to come. Are you ready to begin looking for the right resources that help you with whatever structure you’re trying to protect? In recent years, the greater public has become very aware of the potential threats that burglars and external criminals pose. You’re probably trying to make sure you’re able to figure out your residential safety without putting your family’s well being in the way. Same goes for your commercial needs. Our installers have years of experience, and we’ve seen it all. 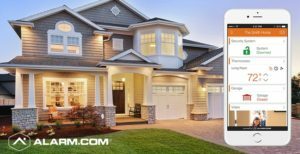 You can count on us to provide you with the optimal residential alarm monitoring services in Houston, Texas. Are you trying to figure out how you’re going to be able to make sure you know exactly when someone enters and exits your home? In this day and age, this is something that can really keep your loved ones much safer. While this isn’t something that you can always do yourself, it’s easy to find help when you have the assistance of Mega Systems Security on your side. Residential security service is a big part of what we offer you. When you’re on the search for residential security, you need to keep a lot of different things in mind all at once. Are you trying to figure out how you’re going to find the right monitoring services for your home? Perhaps you’re unsure of what types of alarms, emergency dispatching, and smoke sensor equipment to buy. While you may feel frustration in the moment, you’ll be able to count on us to help you. Mega Systems Security understand that when things go wrong, you’re going to want the right prices and the right products. Are you unsure of how you’re going to be able to locate the equipment and technology that makes you feel like you’re truly keeping your structures safe? While you might not know how to handle this on your own, you’ll be able to count on our technicians for more information. By calling in Mega Systems Security, you’ll have the right answers for your security needs. Commercial Alarm Monitoring Houston TX services are here for you when you’re unable to figure out how to make the most out of your business security. Are you ready to figure out how to ensure you have the right solutions and services for when your alarm monitoring systems break down? This is something that can really stop your business from providing you with the right solutions for your safety. While you may not feel as though you have the right solutions for your own commercial safety, Mega Systems can handle this on your behalf with no problems. As a home or business owner, you have a lot of things to think about without having to worry about your security. Are you trying to make sure you’re able to focus on what you do best? If you’re attempting to grow a brand and make it bigger than life, it can be tough to accomplish this while you have so many other things on your mind. If you’re ready to figure out how to maintain your lifestyle without having to sacrifice and compromise, our professionals are on your side. We provide you with high quality alarm monitoring systems that will make your homes and businesses much safer. Mega Systems Security can help you if you don’t know exactly what you might need. Are you new to this industry and you’re still trying to create your ideal situation and circumstance? If you’re having a lot of problems figuring out how you should install your alarms and security measures, we can help you in no time. Call us today at 713-668-8818 for more information on what our team can do for you. Mega Systems is ready to dispatch a member of our team so you can experience quick relief that makes sense for your systems. Now that you’ve decided on making sure you have alarms and monitoring in your home, you may have more questions. Are you trying to decide how much you want to pay for your setups? Maybe you don’t know what your specific situation requires. Are you looking for affordable services that can provide you with high performance security? Maybe you’re unable to find the right answers to your financial concerns regarding your security systems. When this is what you’re after, you can count on us to help. Dial our number today and figure out the exact setup you need. With us on your side, you’ll be just fine. Our Alarm Monitoring Houston TX services are the best in town. Mega Systems Security is a place you can trust to provide you with the best residential and commercial setups for security you’ve ever seen. When it comes to making sure you have the right safety measures in place, you really can’t afford to make mistakes. Your residential and commercial security is everything to your wellbeing. Because of this, you’re going to have to take an active role in making sure it’s maintained. Ready to do things differently and you don’t know how you’re going to proceed? Let our team provide you with an estimate. Call Mega Systems today at 713-668-8818 for more information.